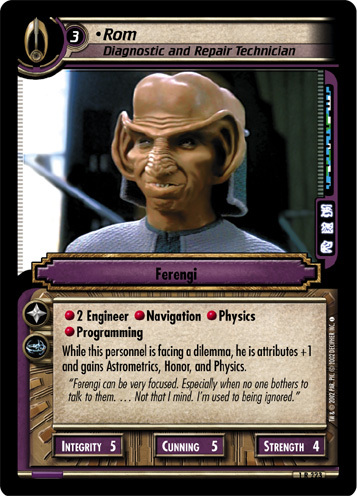 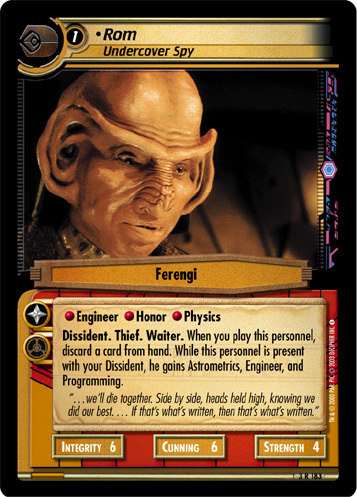 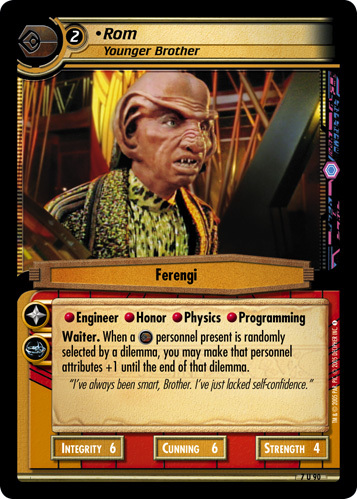 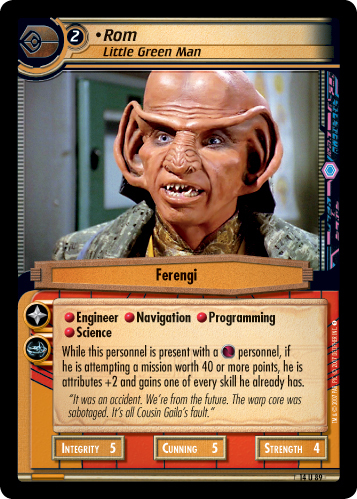 When this personnel is facing a dilemma, you may exchange two cards in hand with an interrupt beneath your Ferenginar. 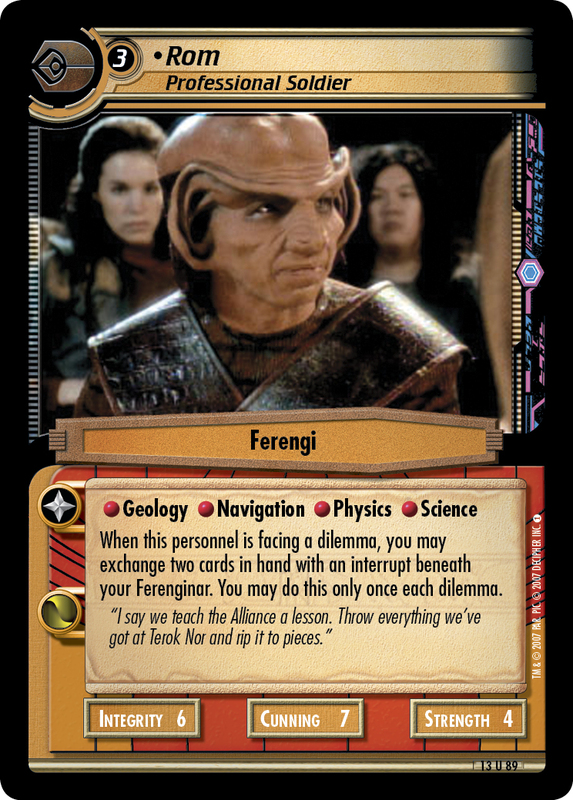 You may do this only once each dilemma. 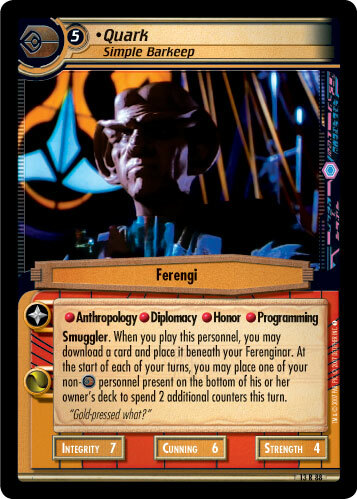 "I say we teach the Alliance a lesson. 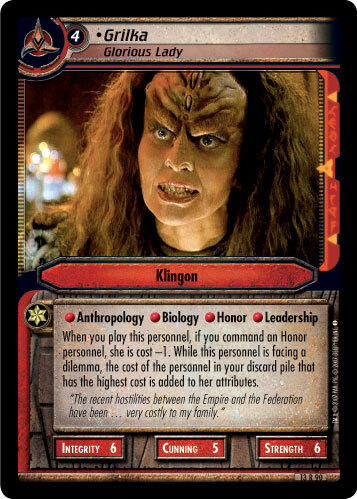 Throw everything we've got at Terok Nor and rip it to pieces."